I took my sister to Alabama to be in the studio audience of the Rick and Bubba show’s first radio broadcast of 2010. Unlike their names suggest, Rick & Bubba are incredibly intelligent, articulate, and hilarious men of integrity who honor God in every show — which is syndicated nationally on a secular network. Unfortunately, Nashville has just pulled them off the air. When they discussed this at the show, it seems that broadcast companies want to “peg” each show into a specific category. 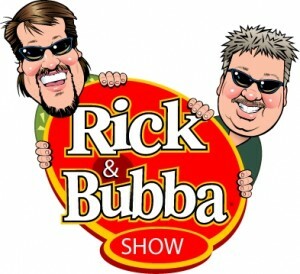 The Rick and Bubba show is at times a sports-talk show, a morning of comedy, a political talkshow, AND a Biblical teaching format show. ClearChannel wants them to pare down and choose one, but they prefer to be who they are: well-rounded and able to discuss all that interests and defines them. I thought about this in reference to homeschooling. In the elementary grades, it is our jobs as moms to expose our children to as many topics, subjects, and ideas as possible. We broaden their horizons as God begins to show us their future. It would be detrimental to their growth to limit their studies to one topic. We strive to produce well-rounded students who can succeed in a variety of situations. During the show, we laughed until we cried, we said “Amen!” to many political observations, and we learned a lot about hunting in Texas! It is obvious that they are living out what they love to do and what they are wonderful at doing. It seems as if this is what they were meant to do. Which brings me to my next observation: My daughters-in-law and my daughter have never been more gorgeous in their lives. I am truly not trying to brag, but just noticing. My two daughters-in-law are pregnant–they are past the really tired stage–and they are truly glowing! I sometimes stare at them in amazement because, except for my last pregnancy, I don’t believe I took the time to appreciate the miracle of that growing life inside. And my daughter is SO enjoying being a mom –it seems as my two girls parent, they are filled with the radiance of God. They are exactly where they are supposed to be–doing exactly what they are supposed to be doing!!! Wow—talk about the center of God’s will!! And that is what we should all pray as we parent–that He will continue to show us how to walk there.